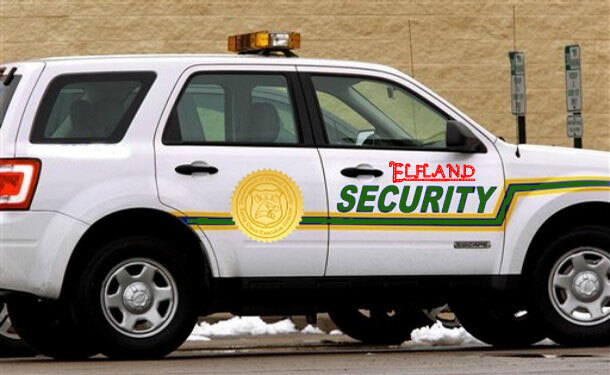 It is not known the actual origination date of the Department of Efland Security; however, they have served as the private security system for the North Pole for thousands of years. They are essentially a cross between the FBI and the Secret Service for Santa. In the year 1653, the Assembly of Legendary Figures adopted the department as their security organization. - The Easter Bunny discussed issues of eggs being damaged in transport from his distribution warehouse to delivery routes, not by transportation, but by bandits who attempted to rob the distribution lines. All discussed the need for additional security. - Santa mentioned that he has had a private security force for a while. He went on in great depths on how they train, perform research, and recruit new members. He made the offer to have it expand to help cover the security needs of the entire group. He added that with additional funding the security department would be able to upgrade their facilities and expand. - The Tooth Fairy made the motion to make the Department of Efland Security the private security system for the group. - The motion was seconded by Father Time. - The motion was passed unanimously. They will continue to be Santa's private security force. They are responsible for filing and clearing all flights with the FAA for the Assembly including sleigh and reindeer flights outside of the North Pole area. They are responsible for the keeping of the "S.O.S." (Secret of Santa) at the North Pole and beyond. They are responsible for all record archiving for the Assembly. They are responsible for communications between the sleigh and NORAD during all sleigh flights. They are responsible for the transportation of all Claus family members to and from the North Pole facility. They are to be able to assist any member of the Assembly of Legendary Figures at any moment in time. They are responsible for monitoring and maintaining any computer and Internet traffic for all Assembly members.